With stocks of older whisky becoming more scarce and valuable, many whisky producers in Scotland have begun to supplement their offerings with non-age statement releases that are less focused on the age of whisky in the bottle and more on a specific flavor profile or character. Laphroaig has been a leader in this space, first with their extremely popular Laphroaig Quarter Cask release and then with a series of whiskies that explore the impact of different finishing casks on single malt whisky, including Laphroaig PX Cask, Laphroaig QA Cask, and Laphroaig Triple Wood. Now, Laphroaig has made the next logical step with Laphroaig Select Whisky. Laphroaig Select Single Malt Whisky is a non-age statement release that brings together many of Laphroaig’s popular releases like Quarter Cask, PX Cask, Triple Wood, and Laphroaig 10 Year into a blend that’s finished in new American oak casks. Select may have the distinction of using the most finishing barrels in a single malt release and feels a lot like a “greatest hits” mix on paper. 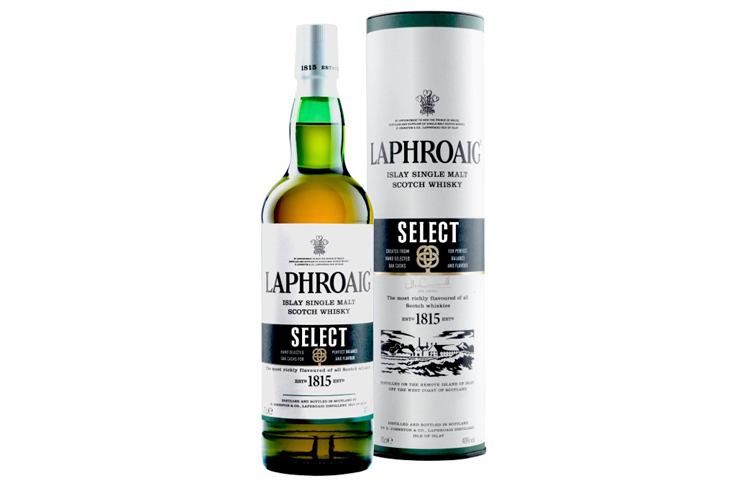 Laphroaig Select Single Malt Whisky (80 Proof / 40% ABV, $55) – with all of those finishing barrels in the mix, you’d expect the nose of Laphroaig Select to be heavy oak, but it’s actually Laphroaig’s signature peat that’s the first thing out of the glass. Underneath the peat is indeed oak, but it’s accompanied by honey, vanilla, salt, and iodine. There’s also a hint of dried dark fruit in the mix. The nose of Laphroaig Select is highly aromatic with some really nice complexity and surprising balance. By all accounts this should be an oak-forward nose, but it isn’t. All the oak in the equation is much more apparent on the entry, which is an odd, muddled mix of flavors with vanilla, caramel, honey, peat, oak, blackberry, peanut, ginger, salt, and pepper all there from the start. There’s absolutely no real integration here, no sequencing of flavors, no balance – you just get it all, at once, a complete cacophony. The midpalate sees an increase of peat, oak, black pepper, and ginger spice. The midpalate still suffers from poor integration of flavors but it’s slightly less messy than the entry. 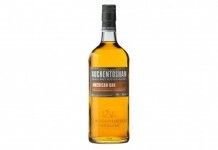 The finish is fairly long and slightly dry with black pepper and peat lingering on the palate. It’s in the finish that the younger malt shows itself with some heat and dryness, but even with all the wood in the mix, the finish isn’t painfully dry. While we appreciate what Laphroaig is trying to do with this release, Laphroaig Select Single Malt Whisky is a rare strike out for a brand that rarely misses. 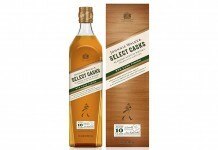 Each piece of this blend – the PX, Quarter Cask, and 10 year – are really strong products, but together they just don’t work. Laphroaig did such an amazing job with last year’s Laphroaig Cairdeas Release – Port Wood Edition with a whisky that truly brought the brand’s signature flavor profile into a new space, it would have been a better move to elevate that to a permanent offering than try to force an odd “greatest hits” release.